June | 2014 | Mike Lamberti, From Margate To Cleveland, And Back ! PLAYER OF THE YEAR: It will be difficult to find another player like Livingston’s Kylie McLaughlin. A natural righthander who bats lefty, just like her father, Dave, himself an All-State baseball player at Livingston High School, and later a professional baseball player, McLaughlin was nearly impossible to strike out, as well as keep off the base paths. McLaughlin was Livingston’s leadoff batter for the past three seasons. Her power to the opposite field spoke for itself. Her ability to bunt and occasionally slap while beating the throws to first was legendary. 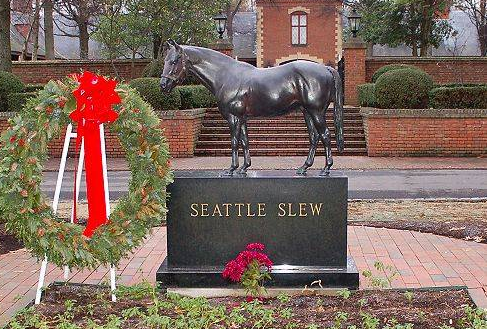 The kid I often called Seattle Slew would fly around the bases at sonic speed. In one game this year, she reached on bunt single, then came around to score, ON A SACRIFICE BUNT. You had to see it to believe it. 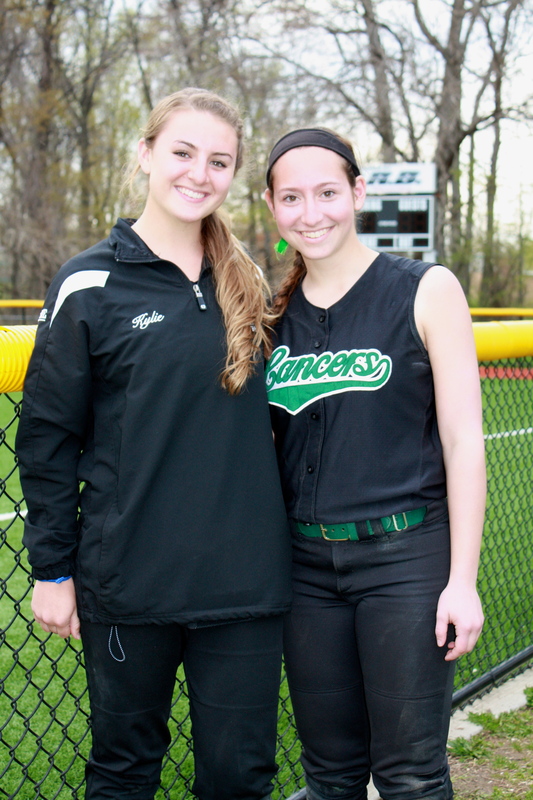 In a game against Nutley in 2013, she came to the plate with two outs and the bases loaded. Slew hit a blooper behind third base. As the Nutley player grabbed the ball, McLaughlin was already heading home with what proved to be a grand slam homer. Kylie would lead Livingston to three straight 20 win seasons, as well as two straight Super Essex Conference (SEC), Essex County Tournament (ECT) and NJSIAA, North Jersey, Section 1, Group 4 championships. In 2014, she hit .595 with 50 hits, 31 runs scored along with four doubles, four triples and four homers. In her final at-bat, she hit a long homerun in a state game against Roxbury. Her athletic skills, in both softball and soccer spoke for themselves, but Slew is also an outstanding student, and when it came to picking a college, the primary focus was on education, so she’ll probably not play at the next level. Slew getting yet another hit. She batted .595 this season. And, good for her. She made that decision a while ago and hasn’t wavered from it. We can appreciate her athletic abilities, but more importantly, her style and charisma. The second of three children born to Jill and Dave McLaughlin, she will leave Livingston having provided a lot of softball fans some great memories. PITCHER OF THE YEAR: Mount St. Dominic entered the 2014 season with two established pitchers, but it was a freshman, Kelsey Oh, who would handle the brunt of the pitching chores. Oh was, in a word, phenomenal. She would guide the Lions to an ECT crown, as well as a SEC American Division title and then, the ultimate, a magical run through the NJSIAA, Non-Public A tourney, culminating with the school’s first-ever Non-Public A state title in 13 grueling innings against Immaculata. A power pitcher with exceptional control, Oh will most assuredly be one of the state’s top rightys for years to come. Before it’s said and done, she could among the all the time greats in numerous pitching categories. And, yes, she’s also a very good hitter. STUD OF THE YEAR: If you follow this blog, you know my penchant for naming certain softball players after stud race horses. This year, the top stud goes to Mount St. Dominic senior Olivia Gemma, aka Forego. 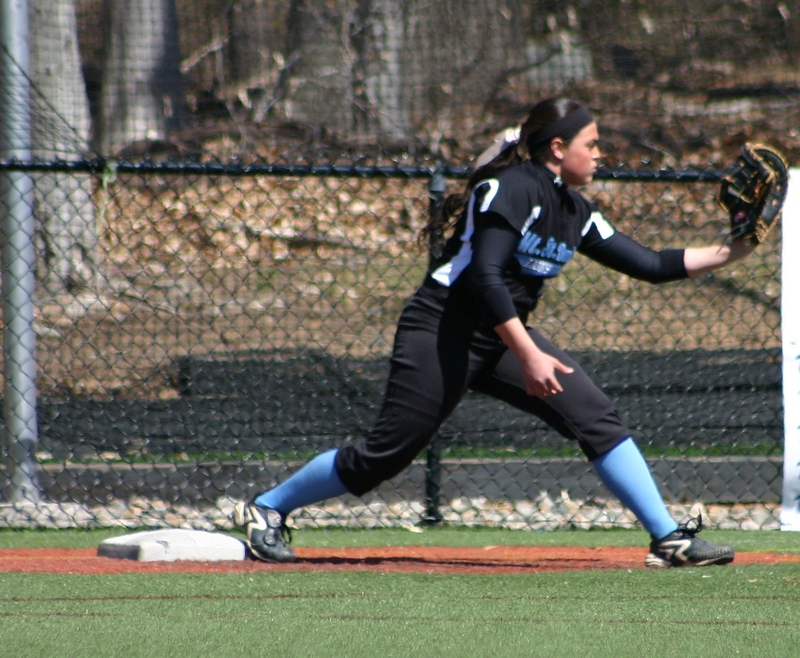 Gemma, a very good pitcher for the Lions from 2011-2013, was the team’s first baseman for 2014. The Stevens Institute-bound Gemma, who is also a tremendous student and president of her senior class, had a great year at the plate for the Lions. She also hit in the clutch, including a big double that set the stage for a win against Cedar Grove in the county championship game. And she may have saved her best at-bat for the North, Non-Public A final against Immaculate Heart Academy. (More on that, later in the blog). 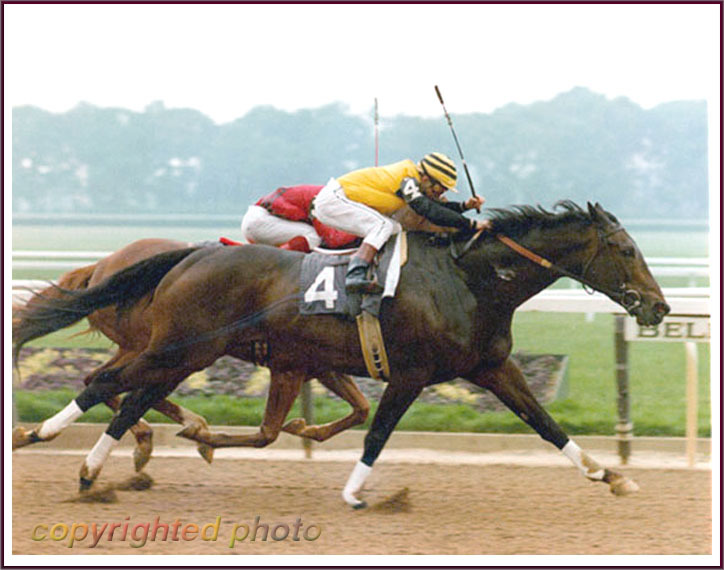 Forego in his great days on the track. Gemma should be back in the circle on the collegiate level at Stevens. In the meantime, let’s just call her a stud among studs. TEAM OF THE YEAR: Mount St. Dominic was the best team in Essex County, hands down. 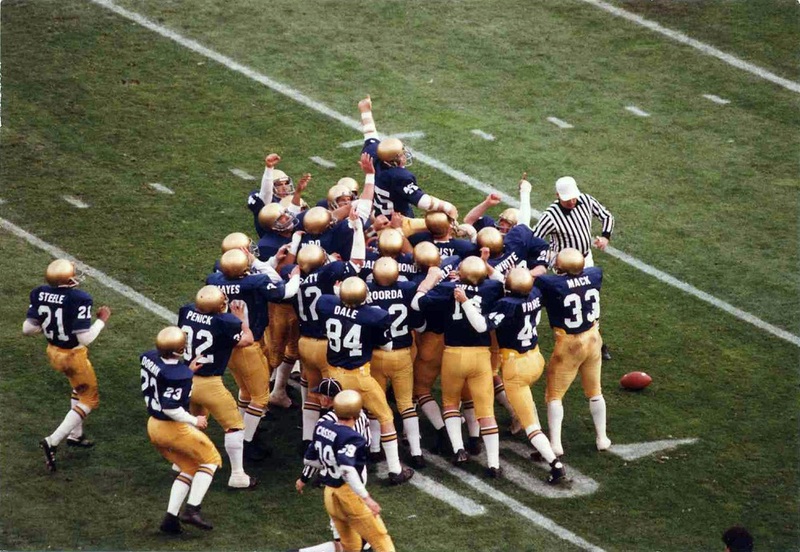 The Lions won the SEC, ECT and eventually a state title in Non-Public A, as it finished 29-4. It was clearly a team effort for coach Lorenzo Sozio’s team in 2014. The Lions played one of the toughest schedules in the state and also traveled to Ohio in April for a top national tournament. While there were plenty of talented underclassmen on this team, there’s no question that the senior leadership was the key to its marvelous season. Sam Platt, Bria Bartsch, Olivia Gemma and Ashley Kowalski were incredible, especially in pressure situations for the Lions. Sam Platt of Mount St. Dominic had a tremendous high school career. She will play at the College of New Jersey this fall. Platt and Gemma had monstrous clutch hits in the win over IHA while Kowalski’s defense and speed could never be underestimated. And Bartsch? Well, just read a little further down in this blog to know what she did, if you haven’t already figured it out. Mount St. Dominic became the first team from Essex County to advance to a state final since Nutley did it in Group 3 four years ago. They were also the first from Essex to win a state championship since Montclair Kimberley won in Non-Public B in 2009 and they are the first team from Essex to win the trifecta of conference, county and state titles since Caldwell, in 2005. COMEBACK PLAYER OF THE YEAR: Cayla Lombardi of Caldwell battled back from a serious injury in 2013 to pitch very well for the Chiefs this season. Lombardi, a junior, gained confidence in the circle as the season progressed and could be one of the top pitchers in Essex County in 2015. A wonderful young lady and a natural team leader, it was good to see No. 7 back where she belonged, playing for head coach Mike Teshkoyan’s Chiefs. Her compassion was especially noteworthy during a game at Livingston on May 5. Sammi Passeri, Livingston’s starting pitcher, had been injured in a game the previous week and wasn’t playing for the Lancers. Lombardi made it a point to seek out Passeri, who was in street clothes on her team’s bench, during the game, to ask about her injury status. COACHES OF THE YEAR: The city of Montclair had two excellent high school softball coaches in Dan Roberts and Jess Sarfati. Roberts guided Montclair to an 11-13 mark in the ultra competitive SEC American Division. In his second year as head coach, he did it by helping to develop some young players while clearly instilling an enjoyment of the game to his kids. Roberts’ infectious smile and sincere attitude are the very example of why this man understands the role of a coach and mentor to young people. As for Sarfati, the hard-working coach, in her fourth full season as head coach and, really her fifth year in that role, led Montclair Kimberley Academy to the SEC Liberty Division crown. 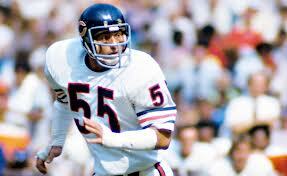 It also had its first winning season in five years, with a 15-8 record. MKA was long a state power and once dominated in Non-Public B, as well as winning back-to-back ECT titles in 2001 and 2002. However, after winning a state title in 2009, the Cougars had struggled with a young team and some uncertainty in the coaching ranks. Sarfati alleviated that by providing stability and slowly, but surely, the program began to show signs of improvement, culminated by this year’s success. She is also a kindergarten teacher in the MKA school system. Hopefully, we’ll see more good things from MKA in the years to come. ROOKIE OF THE YEAR: Sami Huetter of West Essex quickly became a stud in Canonero II. The freshman righty took over as the starting pitcher for the Knights in mid April and guided coach Andrea Mondadori’s team to a tremendous year. Huetter has all the intangibles to be a great one, just like Canonero II was on the race track a generation ago. GAMES OF THE YEAR: In Essex County, the two best games, I saw, were Mount St. Dominic’s 9-6 victory over Caldwell in the semifinal round of the ECT on May 18, and Livingston’s 2-0 victory over Caldwell in a SEC game.. In the MSD-Caldwell game, the Lions were, deservedly, a heavy favorite, and had easily defeated Caldwell in two SEC games. But Caldwell battled hard, taking a 2-0 lead in the first inning and, then after falling behind, 5-2,, cut the deficit to 5-4 before Mount St. Dominic went on to win, 9-6. 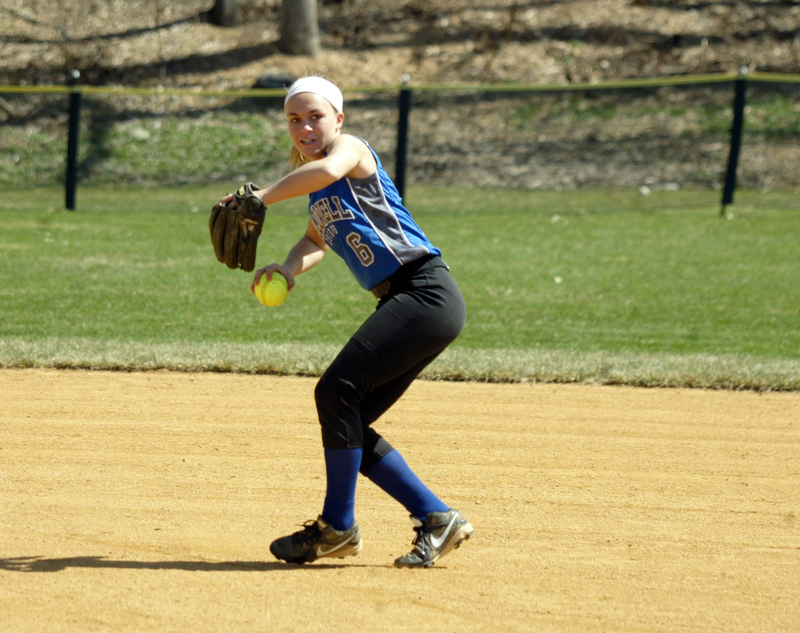 Caldwell was paced by Gianna Genello and Casey Ward, each of whom had two hits. Mount St. Dominic’s Sam Platt pitched four solid innings of relief to get the win and also had two hits, including a homer. Helyna Bissell also homered for the Lions while Ashley Kowalski and Bria Bartsch had two hits each for MSDA. 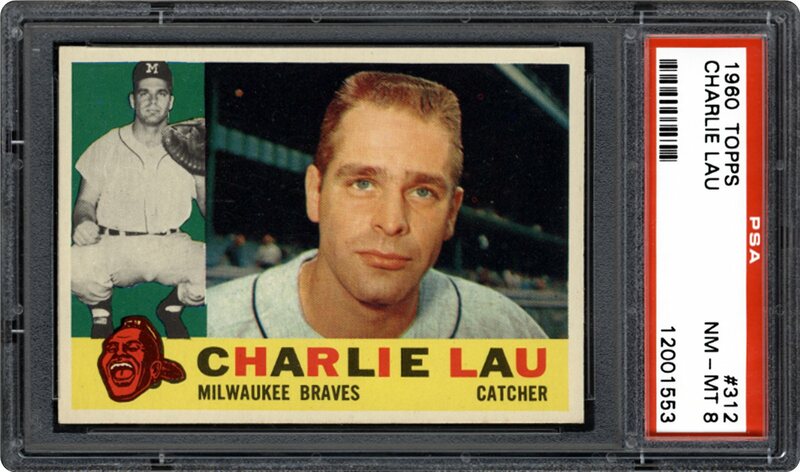 A wonderful pitcher’s dual took place at the Stable in Livingston when Caldwell visited Shangri-La on May 5. 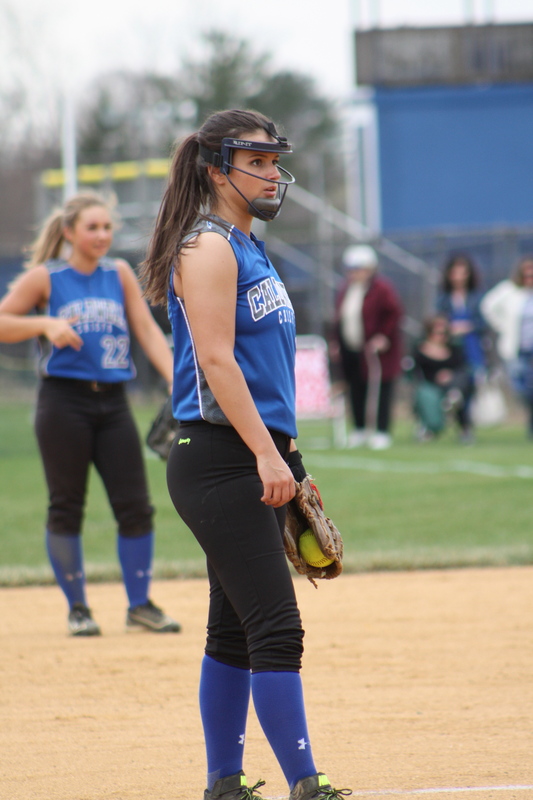 Caldwell’s Cayla Lombardi pitched a marvelous game against Livingston’s potent lineup, but Livingston sophomore Sydney McCormack was even better, spinning a no-hitter. Lombardi threw a complete game, scattering seven hits, striking out three, walking two and not allowing an earned run. In her second varsity start, McCormack struck out eight and walked none. Just two Caldwell baserunners reached safely against McCormack, with Casey Ward getting on via a first inning throwing error and Christina Guarino walking with one out in the seventh inning. McCormack struck out eight and walked none. At one point of the game, she retired 18 in a row. HOT DOG OF THE YEAR: Always a piece of Americana, a hot dog during a ball game is as good as it gets. 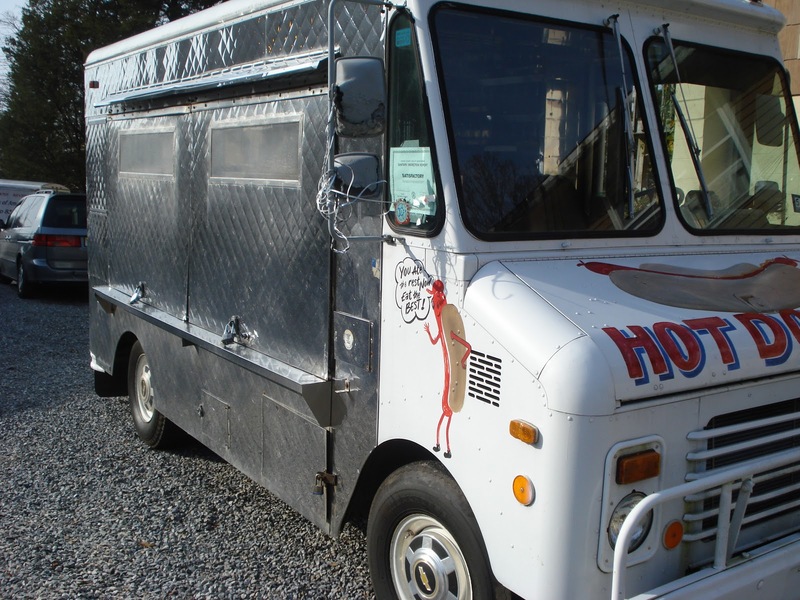 And when you go to Ivy Hill Park for an ECT, State, or All-Star game, Donny’s Dogs are the best. Belleville native Peter Caggiano not only serves up a great meal, but he’s as nice a man as they come. There’s always a smile on his face and a good word from a gentleman. Often, he’ll ask how the game is going, or if there’s a break in the usual line for food, he’ll take a peak at the game. It’s always fun to see Peter Caggiano and get something to eat at Donny’s Dogs, during a game at Ivy Hill Park. FANS OF THE YEAR: My long time friend, Jerry Ross, battled some health issues this spring, but never missed a softball game, especially when it came to watching his talented daughter, Victoria, play, for Bloomfield High. Jerry often said that recovering from surgery in March was easier knowing that he would be at softball games. A big fan of the game, in general, he was the picture of positive energy and it was clear that his tremendous recovery was, in part, because of the joy he received watching his daughter catch for the Bengals. When Victoria begins college in the fall, Jerry should be back at work as a teacher at his alma mater, Belleville High. And you can be assured he’ll be switching his team colors from Bloomfield red to the green of Manhattan College. (Although he’ll always be a Bengals fan, having had three daughters go through that program). 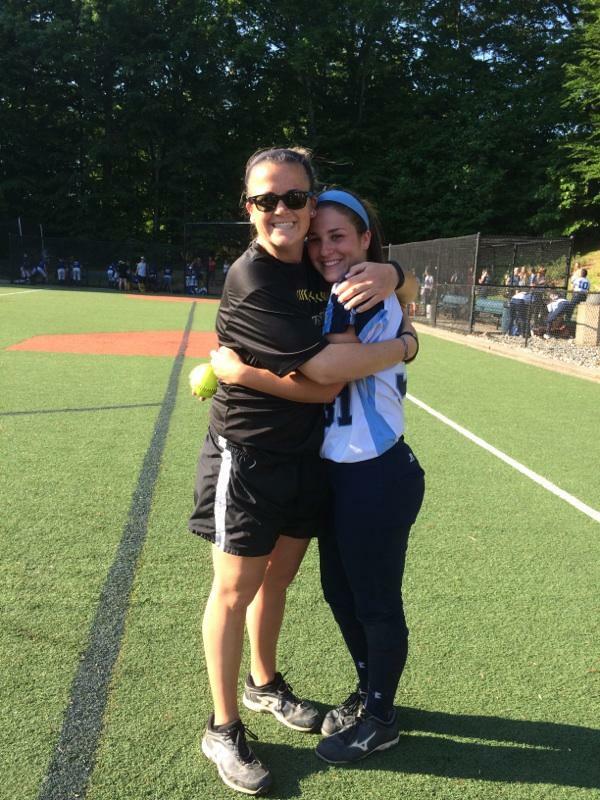 For four years, Mo Altchek watched his daughter Alexa play a big role for Livingston’s softball program. As nice a man as they come, he was always supportive of the team. You couldn’t find a bigger smile than Mo’s, when Alexa was accepted to Harvard University, where she will also play softball this fall. Mo is a very knowledgeable man and respected coach in softball. And let’s not forget Kylie McLaughlin’s parents, Jill and Dave. They were at just about every game, or would split fan assignments, since their younger son played baseball for the Lancers this spring. 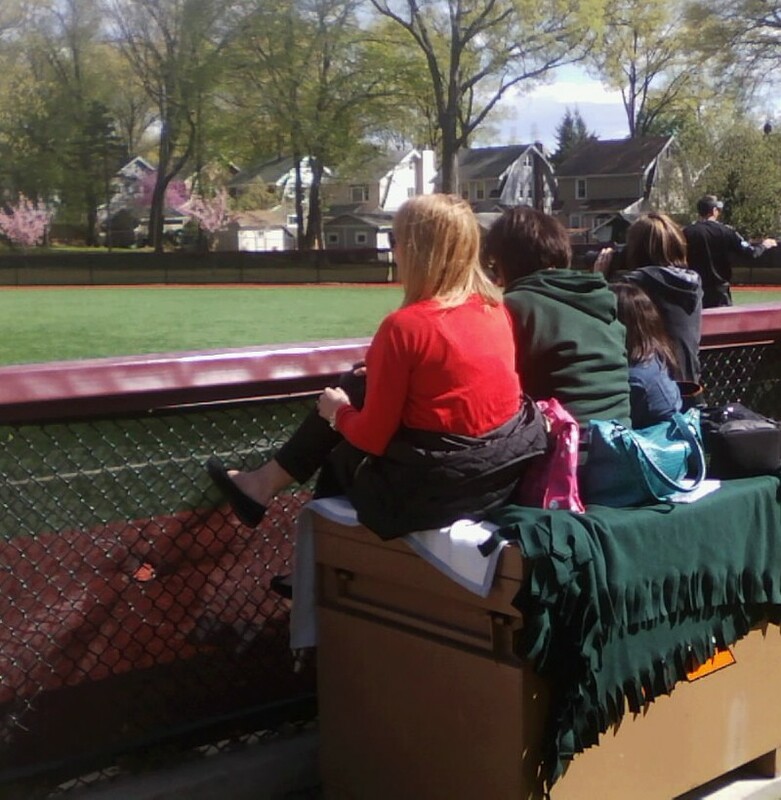 Jill McLaughlin, Seattle Slew’s mom (LOL) wearing the red for a game at Nutley earlier this year. INFIELD DEFENSE: Caldwell’s infield defense showed signs of brilliance this past season. 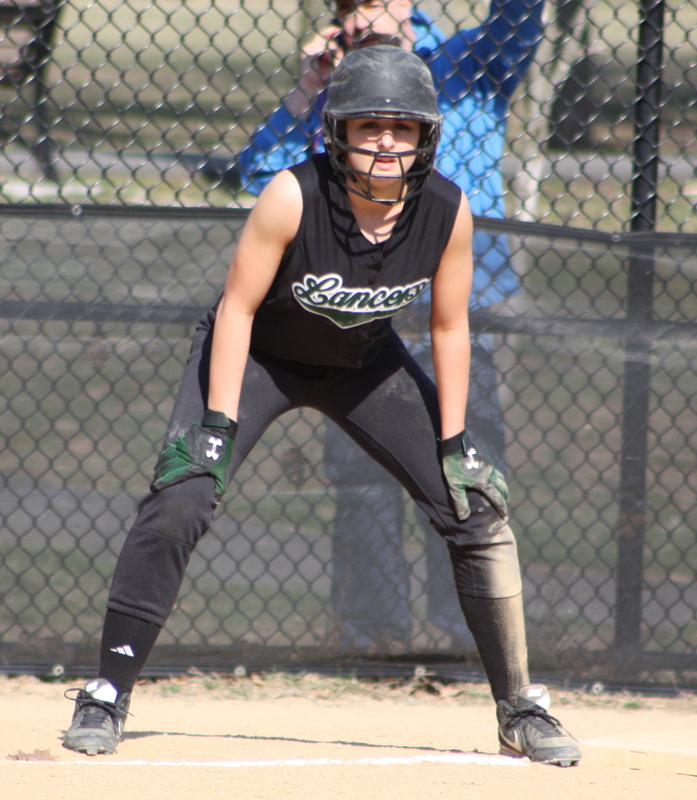 For example, in a game at arch rival West Essex on April 15, second baseman Casey Ward fielded a hard grounder and, without flinching, from the back hand, threw the ball to shortstop Gianna Genello, who tagged second base for the force. But it gets better. Genello, in a single stride after hustling to cover the bag, and a little off-balance, threw the ball to first, where it short hopped in front of first baseman Val Murphy, who made a perfect swipe of the ball. The play almost seemed routine for the three Caldwell players. PHOTOGRAPHER OF THE YEAR: No doubt, Elena Lombardi took some tremendous pictures this year, as she has in the past three years. Elena’s daughter, Marina, is Livingston’s outstanding junior catcher. Most importantly, Elena is great with the kids and is so unheralded, but invaluable to the Lancers program. CATCH OF THE YEAR: Bridget Betley, another in a long line of talented West Essex freshmen, made an outstanding shoe string catch, with a near-perfect slide, in traffic, no less, to take away a possible double in a key moment during a NJSIAA state tournament game in North Caldwell. West Essex would go on to edge Parsippany Hills, 7-6, on May 17 in a North Jersey, Section 2, Group 3 contest. UPSET OF THE YEAR: Cedar Grove stunned two-time defending ECT champion Livingston, 5-4, in the quarterfinal round on May 9, in Livingston. The ninth seeded Panthers had taken a 3-0 lead before Livingston, the top seed, rallied to gain a 4-3 lead into the seventh inning. There, Cedar Grove rallied for two runs and the eventual win. Livingston had swept Cedar Grove in a pair of SEC games earlier in the season. Cedar Grove would advance to the county final this year before falling to Mount St. Dominic. 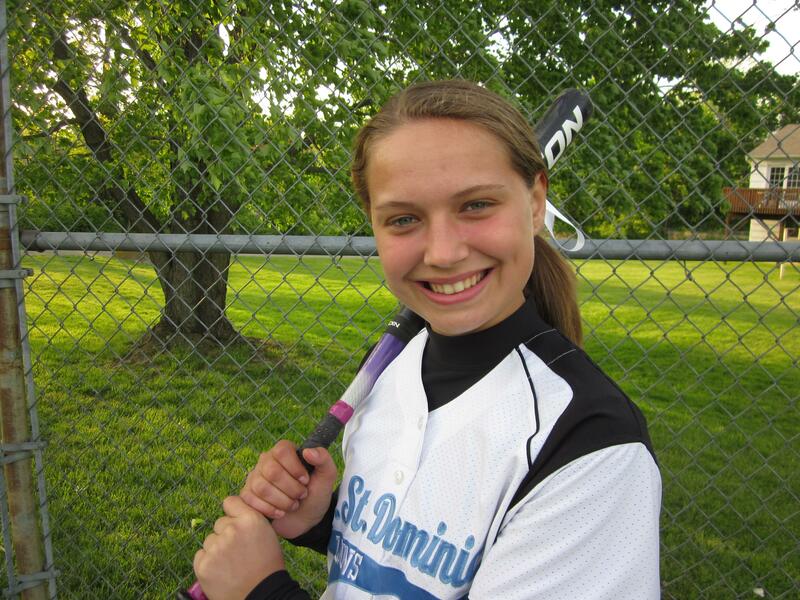 HOMER OF THE YEAR: Bria Bartsch of Mount St. Dominic hit the shot heard round Caldwell, if not Toms River, on June 7, in the top of the 13th inning of the Non-Public A championship game against Immaculata. Bartsch’s three-run homer broke a 1-1 tie and led MSDA to an eventual 5-2 victory. And this was no ordinary homer. It was a bomb, and also one that will be discussed in epic lore, because it came in her final high school at-bat and marked the first homer of her four-year career. CHAMPIONS! Newark Academy claimed its first-ever conference championship in 2014 as it won the SEC Liberty Division. Coach Sergio Rodriguez’s team was paced by Lauren Catena, who finished her career with a school-record 163 hits, as well as a school-record 120 runs scored. Catena also had 102 RBI for her career. She will attend Boston University this fall. IS WEST ESSEX THE TEAM TO WATCH IN 2015? : While most will say that Mount St. Dominic will be a quality team in 2015, there’s plenty of talent left in the rest of the county. One team to watch, for sure, next spring will be West Essex. Coach Andrea Mondadori’s Knights had a solid campaign this year, winning 16 games with a lineup filled with freshmen. Those ninth graders gained a great deal of experience this season and should be a huge force for the North Caldwell-based school next year, and beyond. 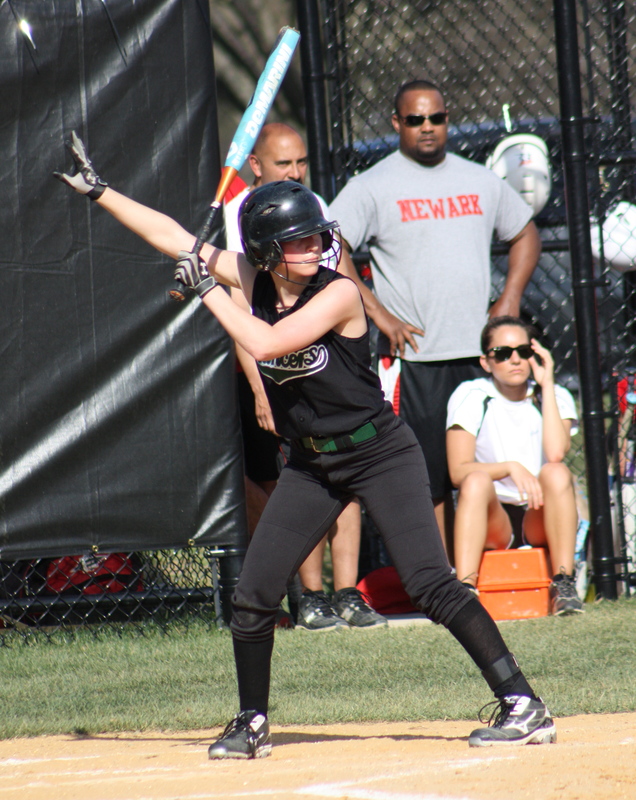 Madison Gemma’s first varsity hit came in a big win over Ridgewood last April. Freshman Samantha Huetter was outstanding in the circle. Also excelling for the Knights were Bridget Betley, Monica Onorata, Amanda Garofalo, Kelly Cousoulis, Kate Jencarelli, Rose Pezzuti, Kim Shaw and Jenna Saluce. Pezzuti, a junior, missed the last few weeks of the season with a foot injury. She should be 100 percent next season. HUGE MILESTONE FOR COACH TESHKOYAN: Caldwell coach Mike Teshkoyan won his 600th career game on May 15, as Caldwell downed Synder of Jersey City in a state tournament game, in Caldwell. Teshkoyan became just the fifth high school softball coach in New Jersey history to reach 600 wins, joining Pete Fick, Tom Erbig, Ed Levens and Don Panzarella. Teshkoyan has also enjoyed a tremendous career as Caldwell’s girls soccer coach, amassing 329 wins. 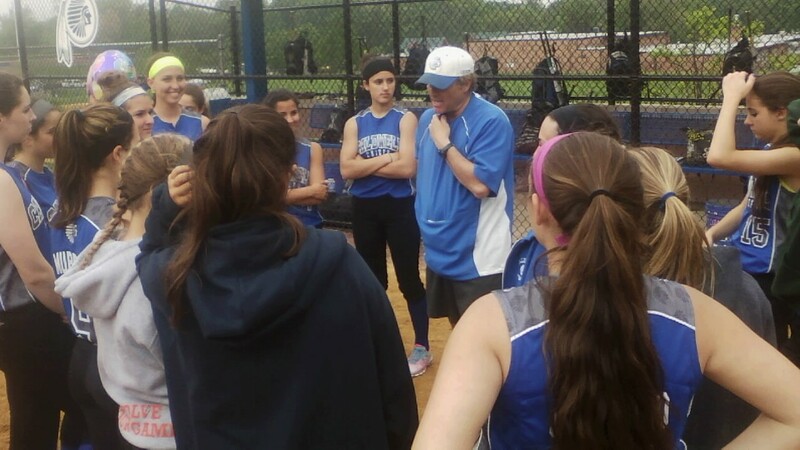 Mike Teshkoyan addresses his Caldwell team after win number 600 this past May 15. AT BAT OF THE YEAR: In a battle of studs, Mount St. Dominic’s Olivia Gemma (AKA Forego) won by a nose over Immaculate Heart Academy’s Steph Thomas (Affirmed) during a classic showdown in the seventh inning of the North, Non-Public A final at Ivy Hill Park. With her team trailing, 1-0, in the top of the seventh, Gemma would foul off numerous pitches against Thomas before hitting a single that tied the game at one. Mount St. Dominic would go on to win the contest, 2-1 and a few days later, captured the school’s first-ever Non-Public A title in softball. MARINA CALLS THE PITCHES: Livingston’s junior catcher, Marina Lombardi, was so good behind the dish again in 2014 that people almost forget how talented she is. 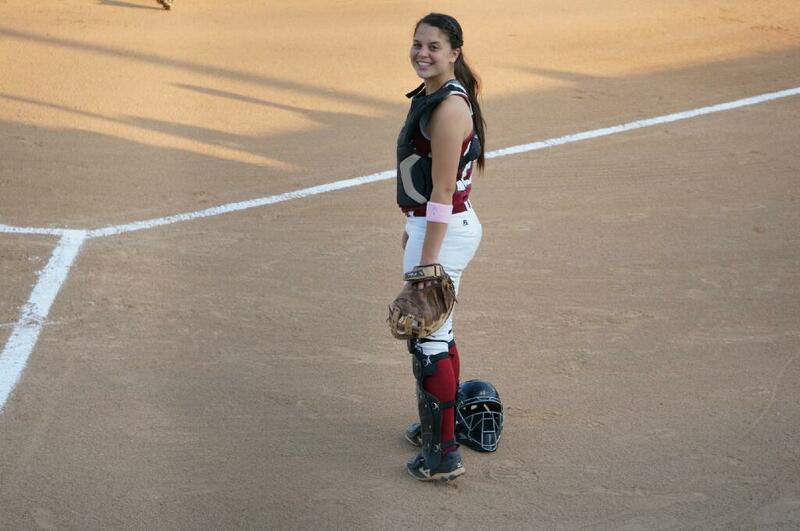 A junior, she spent her first two seasons catching the legendary Secretariat, Jess Peslak. After Peslak was graduated in 2013, Lombardi took the role as leader to a young pitching staff at Livingston this season. Livingston coach Jason Daily has never hesitated in letting Lombardi call the pitches, which is almost unheard of on the high school level. In fact, she’s been calling the pitches since her freshman year while working with Peslak. Her defense is incredibly smooth and at the plate, she hit .319 with seven doubles while batting second in the lineup. OUT OF NETWORK STUD OF YEAR: Steph Thomas of Immaculate Heart Academy. Please, it’s not even close. This kid was amazing. Thomas Affirmed her career as the state’s all time winningest pitcher, with 113 victories, not to mention the state leader in shutouts, with 69 for her career. She was 113-7 in four seasons, and led IHA to four Big North titles, three Bergen County championships, three North Non-Public A crowns and one Non-Public A championship, as well as the state’s top ranked team in 2012, when IHA finished undefeated. 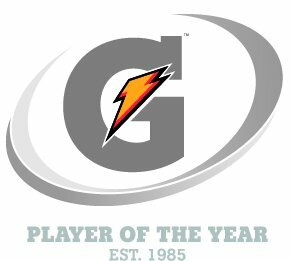 Thomas was also named the Gatorade Player of the Year in New Jersey this season. A great student, she’ll move on to play on the collegiate level at Lafayette College. Affirmed was truly a great one. Kylie McLaughlin, Seattle Slew. 2014 Essex County Player of the Year. 2013 Stud of the Year. Led Livingston to a 20-6 season this spring. Versatile enough to switch positions from centerfield, where she was a 2-time All-State player to second base in 2014. Kylie will attend the University of Delaware this fall. Sammi Rothenberger, Riva Ridge. A marvelous athlete who excelled in soccer and basketball as well as softball, she’ll play softball at William Paterson University this fall, joining former LHS teammate and 2013 FMTC Player of the Year, Rachel Wasilak. Steph Thomas, Affirmed. 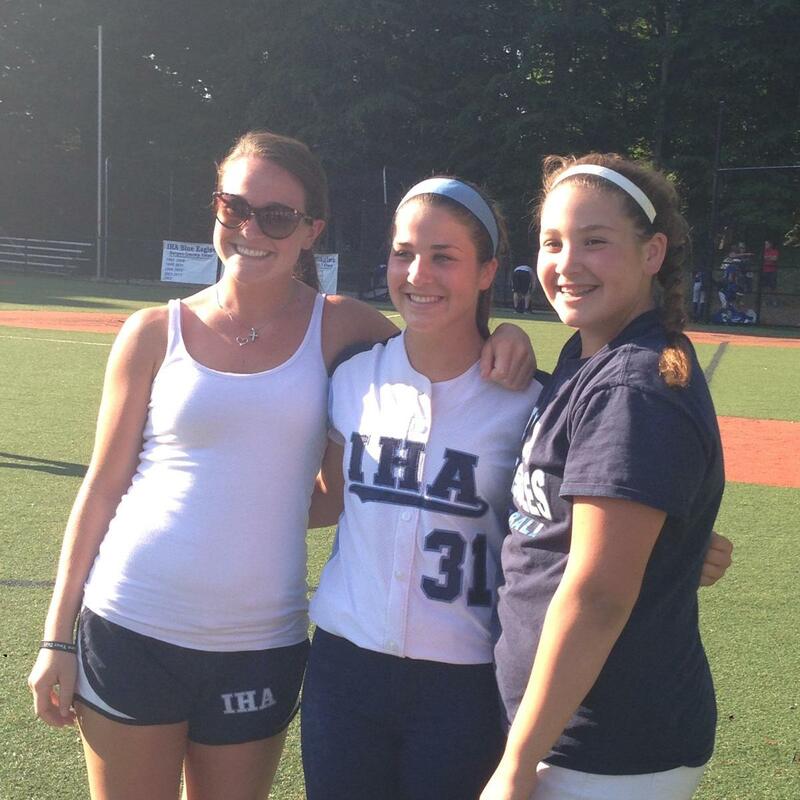 Headed to Lafayette after a career for the ages at IHA. 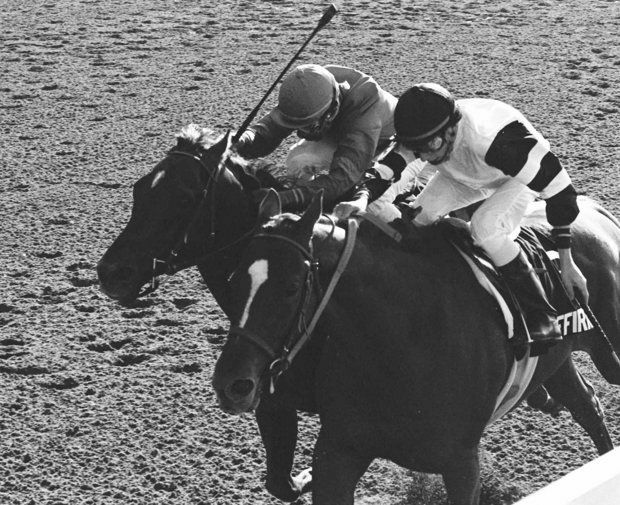 Carly Anderson, Spectacular Bid. 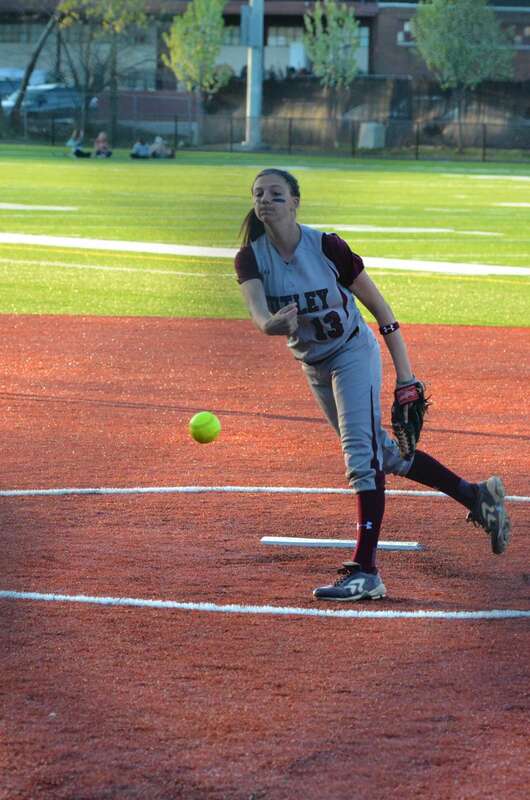 Just a junior, she battled an arm injury which limited her innings as a pitcher for Nutley, but was still a stud shortstop and one of the best hitters in the county in 2014. Victoria Ross, Sea Biscuit. 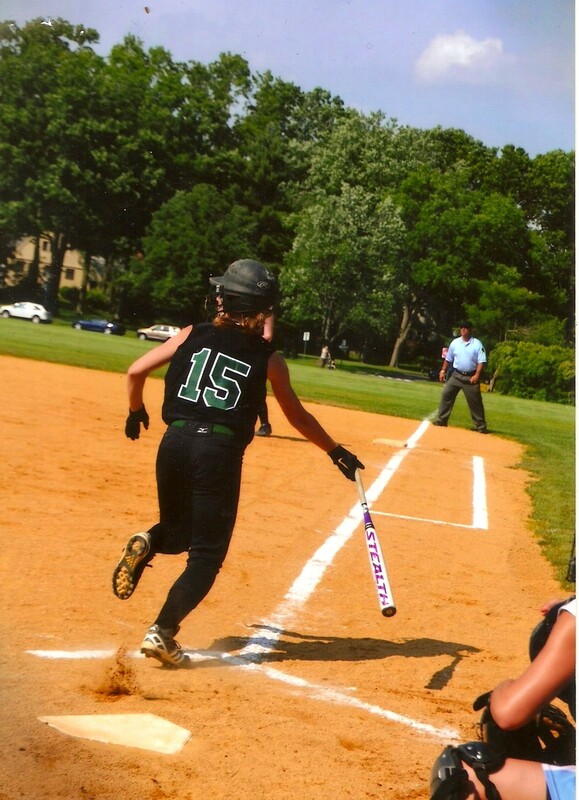 The youngest of Layne and Gerald’s three daughters, all of whom played for Bloomfield, Ross will continue her softball career at Manhattan College this fall. Victoria Ross collected her 100th career hit during the 2014 season. Olivia Gemma, Forego. 2014 FMTC Stud of the Year. Headed to Stevens Institute of Technology, where she will continue to play softball, Gemma had a great senior year at Mount St. Dominic Academy. She was also named MVP at the North-South All-Star game on June 17. Sami Huetter, Canonero II. 2014 FMTC Rookie of the Year. The youngest on the list, she’ll be back for three more years at West Essex. Huetter is a tremendous pitcher and a dangerous batter, as well. Gianna Genello, Smarty Jones. The junior shortstop at Caldwell might set a lot of records before she’s done playing high school ball next May, or June. She’s the team’s leadoff hitter, with tremendous speed, as well as a stud shortstop. While I didn’t cover Immaculate Heart Academy pitcher Steph Thomas on a regular basis, I did get the chance to watch some of her games over the past four years. And while Thomas won’t play in a fourth straight Non-Public A championship game this Saturday, what she accomplished in a four-year career at IHA can never be minimized. 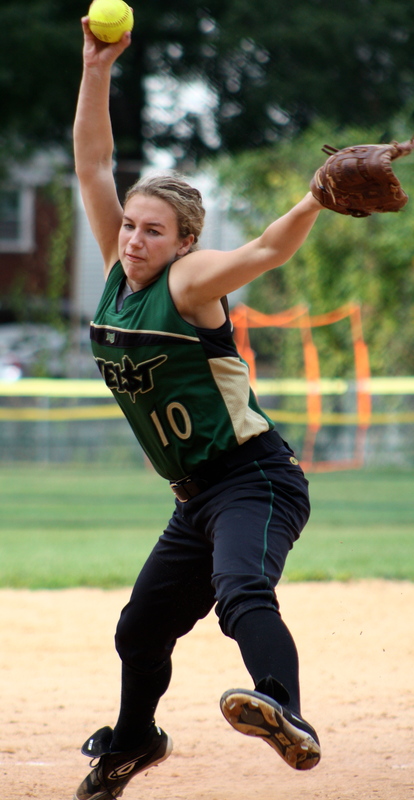 She leaves the high school game as New Jersey’s all-time winningest pitcher, with 113 victories. She graduates as the state leader in shutouts, with 69. Thomas and her coaches celebrated win No. 113 on June 2, 2014. Her final career record was 113-7. She led IHA to four conference championships, three Bergen County titles, three North, Non-Public A crowns and one state championship, in 2012. And in 2014, she garnered the Gatorade Player of the Year award. I liked to call her Affirmed, after the great triple crown winner in 1978. And she was a great winner. 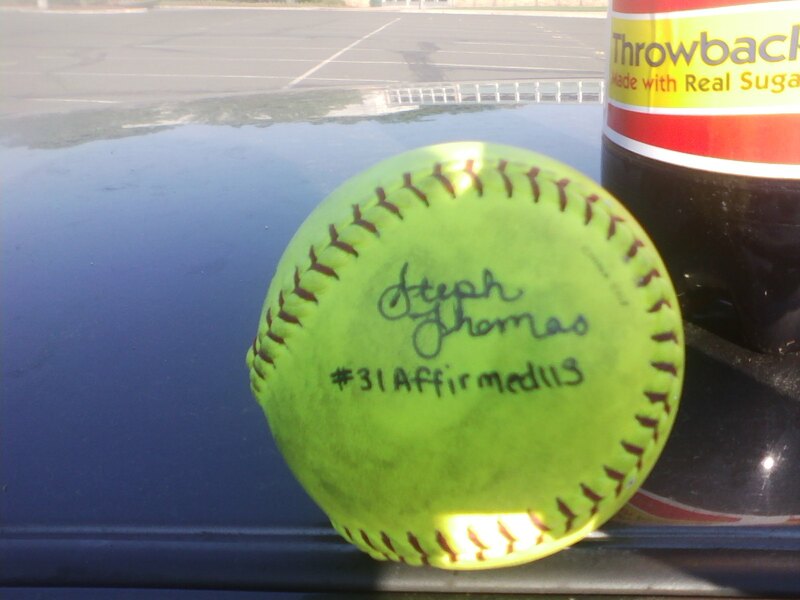 Steph Thomas signed this ball after winning career game No. 113. #31Affirmed113. (And she was a ‘throwback’ as the Pepsi bottle behind the ball depicted). Congratulations, Steph. 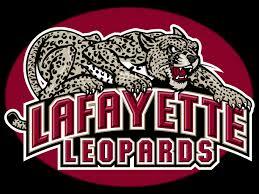 Good luck at Lafayette College. Thomas will go from an Eagle to a Leopard this fall. A pair of talented senior stud players put on a classic showdown in the top of the seventh inning of the North Non-Public A softball championship game at Ivy Hill Park on June 4. Immaculate Heart Academy pitcher Steph Thomas (AKA Affirmed) and Mount St. Dominic Academy’s Olivia Gemma (Forego) had a battle for the ages. To set the stage, IHA led, 1-0, in the top of the seventh inning and were within two outs of advancing to a fourth straight Non-Public A championship game in Toms River. Forego had some great races on the track and Olivia Gemma kept that name in the limelight with another tremendous game at Ivy Hill Park. 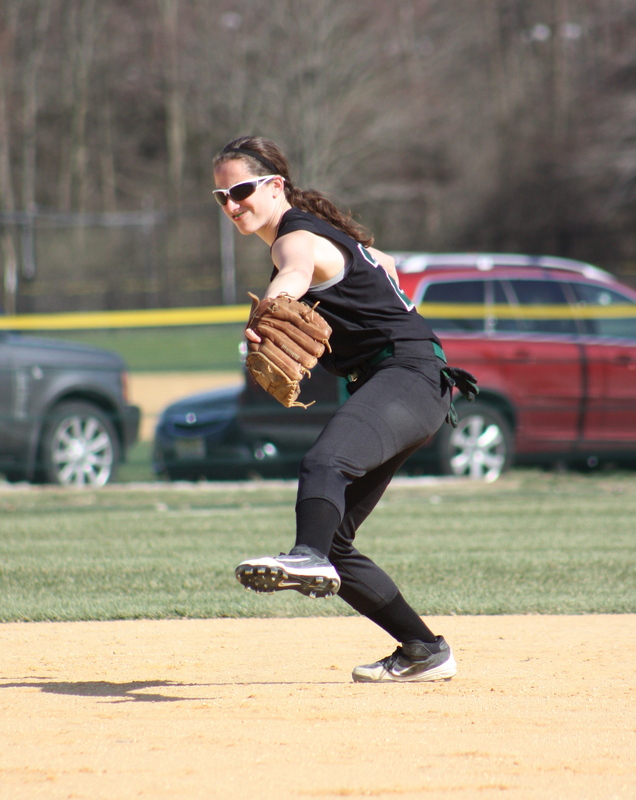 The Lions of MSDA had been held to two hits by Thomas through six innings, but in the seventh, Kelsey Oh led off with a single and a fielding error put a pair of Lions on base. Eventually, a MSDA base runner was out at the plate on a close play. With a runner still in scoring position, Gemma stepped to the plate. She would foul off numerous pitches from Thomas, and eventually worked the count to 3-2 before lining a clean single that tied the game at one. 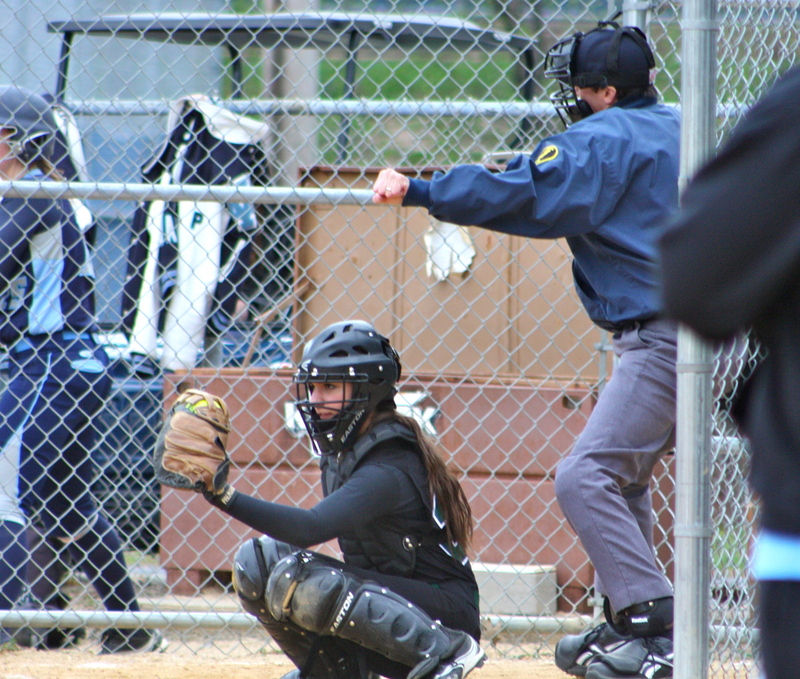 Later, a clutch double by another Lions senior, Sam Platt, drove home Gemma with what proved to be the game-winning run as Mount St. Dominic held off an IHA rally in the bottom of the seventh to win, 2-1. Gemma’s final game at Ivy Hill Park figures to be one she’ll never forget. For that matter, she had four tremendous games there in recent vintage. 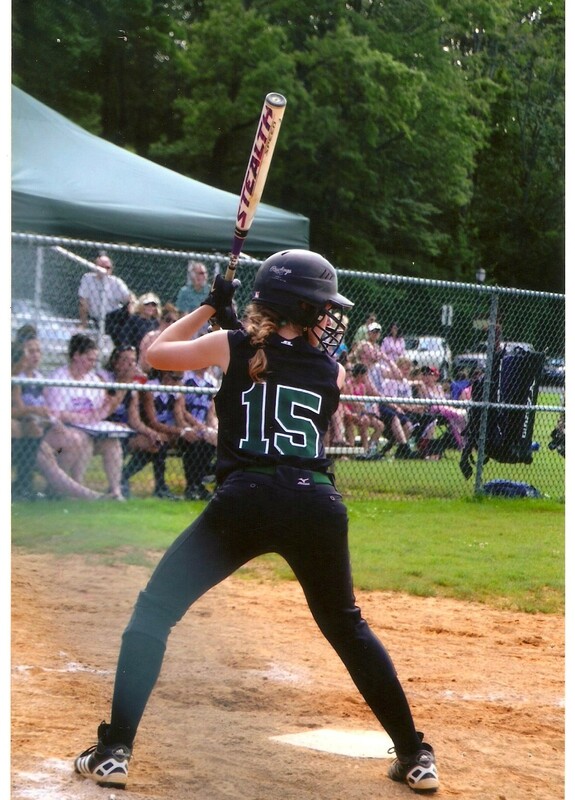 In the 2013 Essex County Tournament semifinal, she hit a monumental homer to lift MSDA past Cedar Grove. The following night, she pitched well and was a stud at the plate in a close loss to Livingston. In the 2014 ECT final, her big hit in the first inning had the Lions off and running en route to a dominating win over Cedar Grove. And then, last night, in what would very well could have been her final high school at-bat, she got a huge hit against the state’s winningest pitcher. Mount St. Dominic’s win marks the first time a team from Essex County has advanced to play in a state final at Toms River since Nutley did it in 2010. The Lions will seek its first-ever Non-Public A championship when it plays Saturday against Immaculata, in a 2:30 p.m. start at Toms River East. The last time a team from Essex won a state title was in 2009, when Montclair Kimberley captured the Non-Public B crown. Gemma, Platt and Thomas will all play softball on the next level, with Gemma attending Stevens Institute, Platt, The College of New Jersey and Thomas, Lafayette College. Gemma and Platt will have one more game while Thomas’ career ends with numbers that are nothing short of mind-boggling. Most importantly, all three players have represented their schools with class and grace during an outstanding four years of high school. 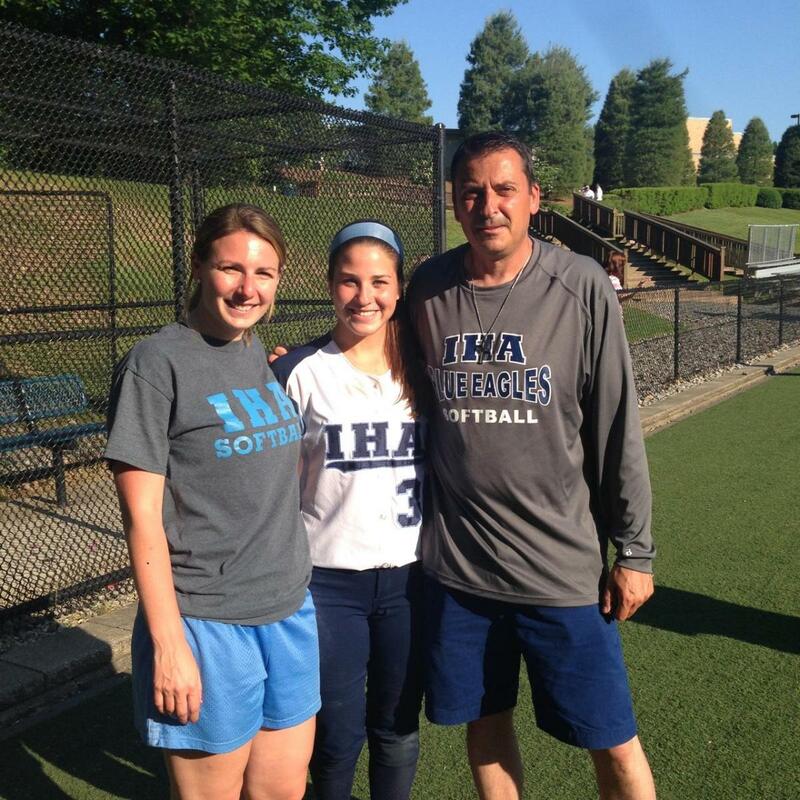 She won her first game as a freshman pitcher in early April of 2011, when Steph Thomas of Immaculate Heart Academy defeated Montclair in the IHA Tournament on the Eagles’ home field. 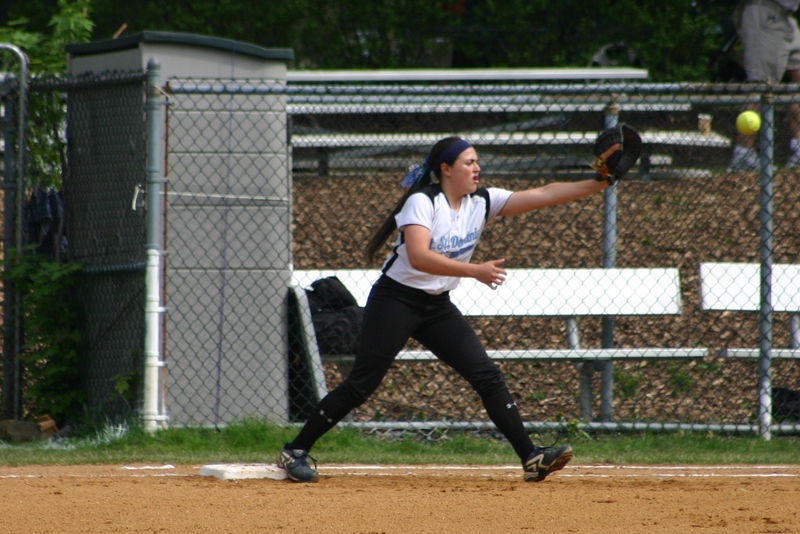 Three years and two months later, Thomas, (aka Affirmed) in her final home game, set a new state record for career victories, surpassing the mark set by Kristen Schindler of Caldwell nine years ago, as IHA downed Lyndhurst, 10-0, in five innings today. Thomas’ milestone win was her 113th, as she spun a one-hitter. She also extended her state record for career shutouts with her 69th goose egg. (Schindler had held the state shutout mark of 67, as well, before Thomas broke that record in a 5-0 victory against Paramus Catholic last week). The great Affirmed, after winning the last Triple Crown, to date, in 1978. 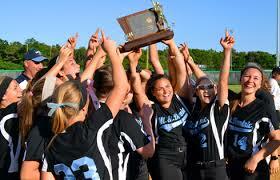 A triple crown could be won this Saturday, on the same day as the state softball championship games in Toms River. 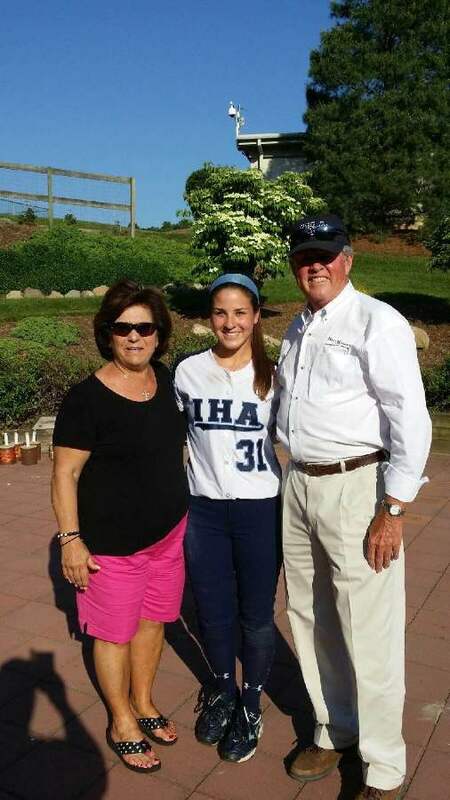 While the win was nice, especially after a 5-4 loss by IHA to Indian Hills last Saturday in the Bergen County final, Thomas was more reflective on playing her final home game. On breaking the record and earning, unofficially a #31Affirmed113 hash tag, marking her uniform number, stud name and new state record, Thomas noted the season is reaching its apex. Steph Thomas and her sisters, Ally (left) and Catherine, celebrate Steph as the state’s all-tine win leader. IHA improved to 31-1 while Lyndhurst (22-8), which captured a state sectional championship last week, will play High Point tomorrow in a Group 2 semifinal. Even the visiting team was proud of Thomas’ accomplishment. That’s Lyndhurst coach Emily Ringen with Thomas after the game. Ringen will lead her team into the Group 2 semifinal today opposite ‘Citation’ (Ally Frei) and High Point. Rudy, in his final home game. Larezza felt like Dan Devine in Thomas’ last home game yesterday in deciding when to take her out of the game. 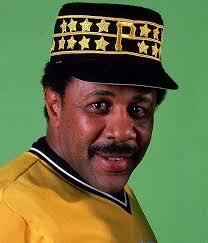 Baseball greats Willie Stargell and Charlie Lau, whose names were invoked at IHA yesterday. Not easy to get on this list. 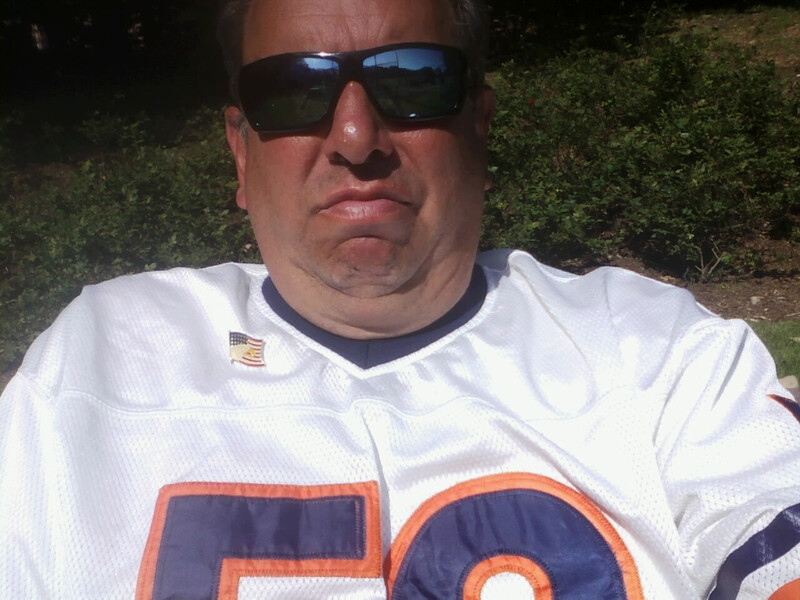 Doug Buffone in his Bears jersey and me, in mine at IHA yeserday. For Thomas, the talk of the record is now in the past.